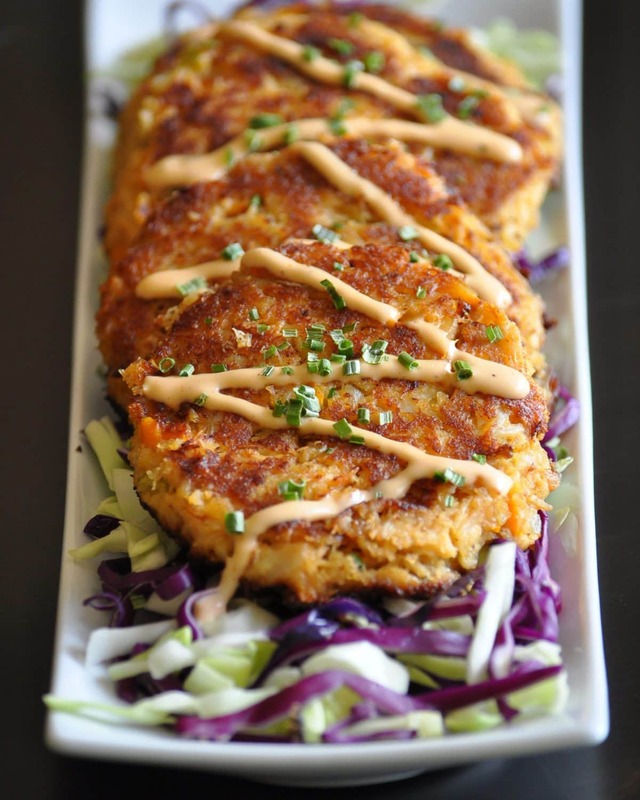 These Cajun Trinity Keto Crab Cakes are a low carb nod to one of my favorite cities in the world – New Orleans! Crab cakes are one of those appetizers that my eyes naturally gravitate toward on a menu. However, it can be hard to find gluten-free keto crab cakes on a restaurant menu. Many of them contain bread crumbs, panko or something of the sort as a binding agent. In this recipe I took care of that problem and as a low carb substitute for breadcrumbs, I used crushed pork rinds to hold it all together. You can’t taste them, and they play the part of bread crumbs perfectly. Before you say “Ewwww” and click away from this page, I promise, promise, promise that you won’t taste them at all. 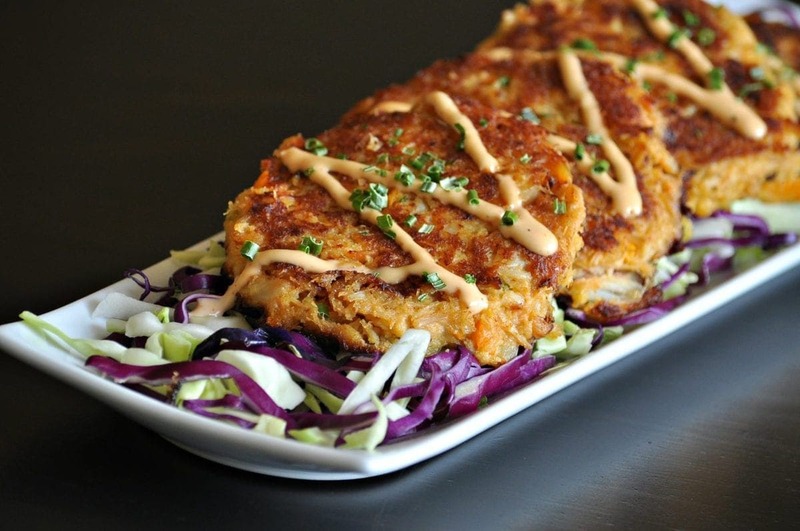 Not only do they help bind these keto crab cakes together, but they keep them from drying out as well. 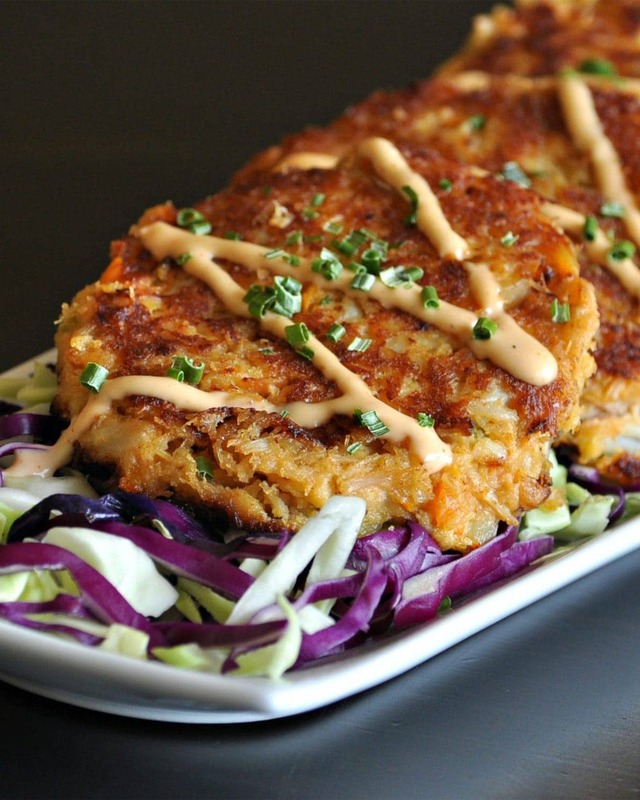 Now you can have your crab cakes and eat them, too! These Keto Crab Cakes are a low carb nod to one of my favorite cities in the world – New Orleans! So, I felt it was only fitting to make sure they included the Cajun Holy Trinity – onions, celery, and bell pepper. Loaded with lump crab meat, these low carb crab cakes are perfectly crispy and juicy at the same time. Before I made this recipe, I was on the hunt for a good keto crab cake and I just wasn’t able to find one. SO, I just made my own! Not only are these keto crab cakes perfectly high in fat and low in carbs, but they are also gluten free. Instead of using breadcrumbs or panko like a traditional crab cake might call for, I made these with crushed pork rinds. 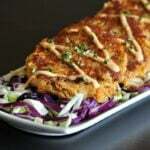 I love to serve these crab cakes with my low carb Russian Dressing or Roasted Red Pepper Garlic Aioli. sounds amazing!!! can’t wait to try these!!! These look so good! I have a question. I don’t cook with a lot of seafood but I love crab. Is the crab meat you used already cooked or do you put raw crab in the mixture? Sorry if that’s a dumb question. 🙂 I just don’t cook a lot of seafood. Thanks! All the crab you buy in the store will already be cooked. I buy canned lump crab meat. But not the kind you would find in the canned goods aisle by the tuna. It is fresh canned and is refrigerated in the deli. I am dairy free, do you think I could subsitute nutritional yeast flakes for the cheese or should I just leave it out? Yes, you definitely could. I might add a little more pork rind also. I made this recipe and it felt apart when I turned them. I will probably add more egg to the mixture the next time and hopefully it will work for me. ???? Otherwise it was very good and my husband really liked it! I will have to try these. I make crab cakes all the time but I just make my cauli tot recipe and add crab meat to it. We love them. I imagine yours have less carbs though. ???? These are AMAZING! The only thing I did differently was to bake them (without turning) @ 375 degrees for about 30 minutes. Unbelievably divine!!! I made these tonight and am in bliss!!! Thank you for sharing this recipe!!! I am so grateful for your fabulous culinary ingenuity!!! You are a true natural born genius cook!!! Hi! what kind of sauce do you have on top, and do you have a recipe post for it? Thanks! Would there be an alternate to Pork Rinds to use? It’s not easily obtainable where I am! I’m going to try this recipe in the air fryer! Can’t wait!